I was diagnosed with stage III breast cancer at the age of 30. Shortly after I turned 40, I was diagnosed with a local recurrence. I have been cancer free ever since. My identical twin sister is also a breast cancer survivor. I am a public relations and communications professional and am currently Director of Patient Advocacy at the American Society of Clinical Oncology (ASCO). I have been active in patient advocacy since my diagnosis. I obtained my Bachelor of Arts degree in Anthropology, from the State University of New York at Oswego. I am a member of the National Breast Cancer Coalition (NBCC) and a former member of the Board of Directors of the Young Survival Coalition (YSC) and the Virginia Breast Cancer Foundation (VBCF). I also represented YSC on the Board of NBCC. I became an advocate because until I was diagnosed, I didn’t realize that young women get breast cancer. It is important for me to raise awareness of the disease and to advocate for other women so they don’t feel alone and isolated. 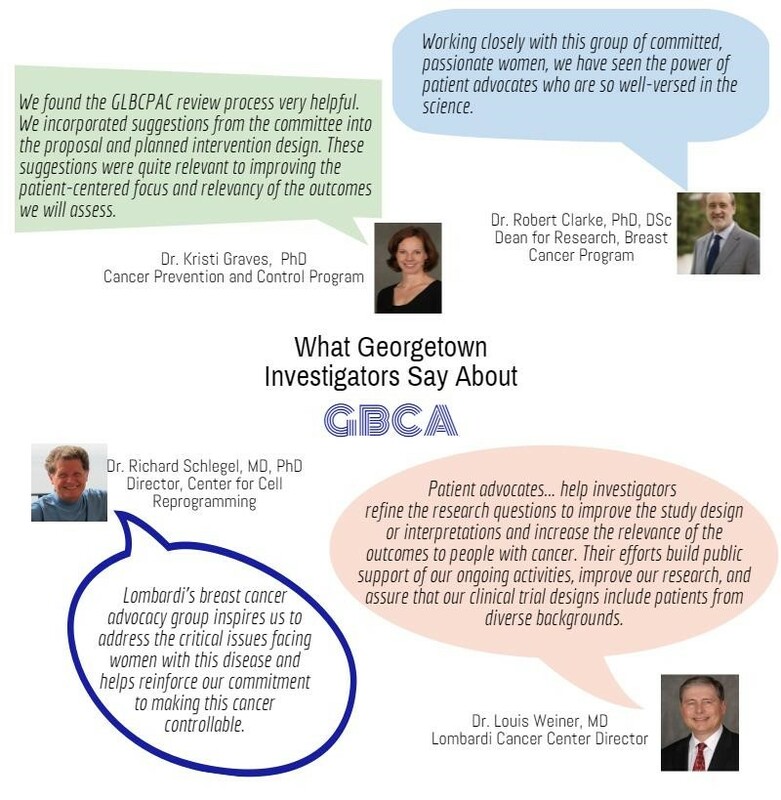 I have been proud to serve as an advocate of Georgetown Breast Cancer Advocates since our inception in April 2011. I am a graduate of the National Breast Cancer Coalition’s Project LEAD Program. 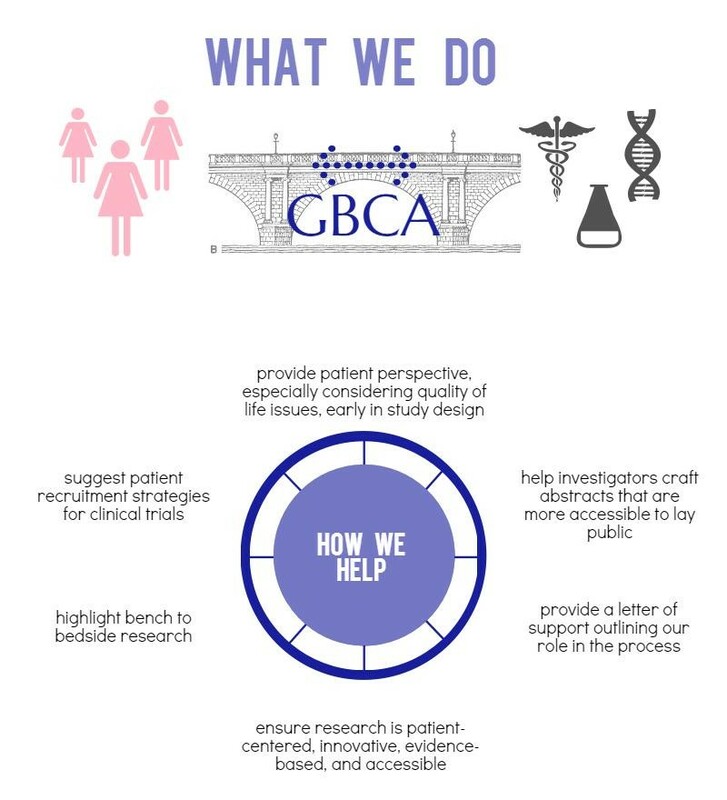 I have a particular interest in family history and inherited breast cancer mutations; exercise and wellness; cancer survivorship; and quality of life issues.